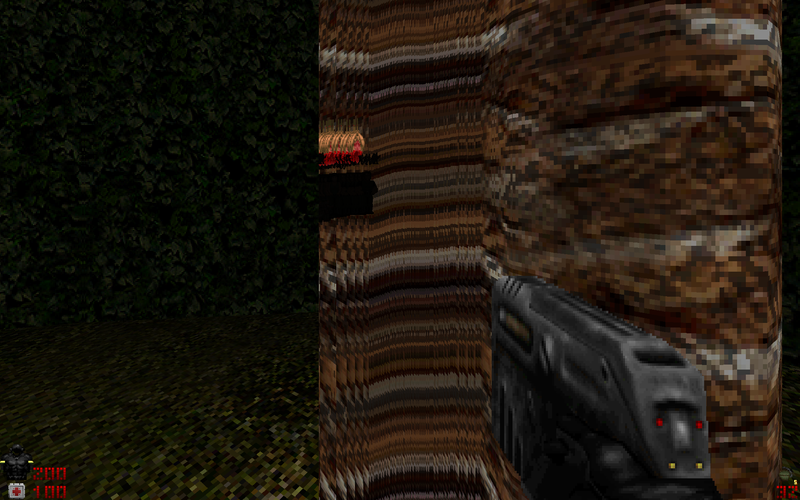 I thought I'd try my Burghead mod in QZDoom. I knew the models and so on wouldn't be there but I just wanted to see what it would look like. 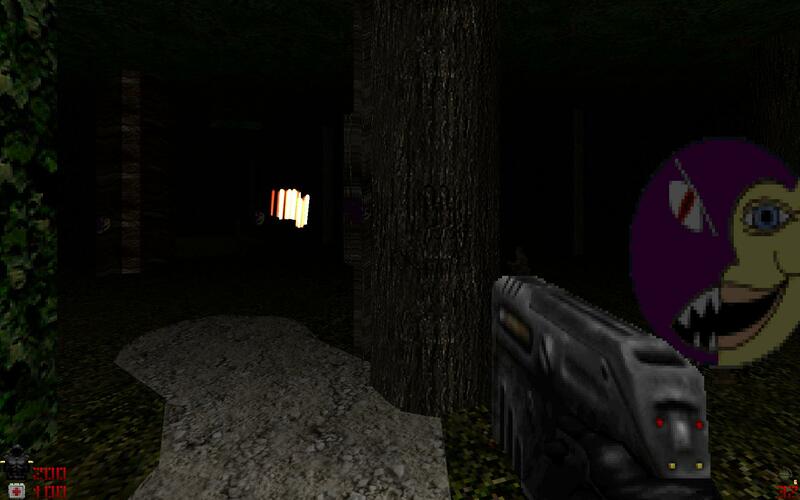 Neither GZDoom nor ZDoom have problems in this area and DeePsea error checking gives the map a clean bill of health. The HOM effects aren't even in the usual kind of places that I would expect (e.g. somewhere with a missing texture). However, they do seem to be associated with the tree-trunk structures in the map. These are just approximately circular pillars made from 1 sided lines. However, to try and make them reasonably smooth-looking, I made them from a lot of lines (24 or so I think). Could that be confusing QZDoom somehow? What's more, they seem to be allowing the player to see through structures. In the above pics, the bright band in the first one is (I think) the projectiles on the beach (which are on the other side of a single sided line) and the hanging corpse in the second also isn't visible from the forest unless viewed through the HOM. It'll flag up a bunch of errors on startup but I'm working on an improved version to fix those, they aren't relevant to this issue. Load it up and have a wander around in the foresty area at the start (you need to collect the two pickups right in front of you before you are allowed into the forest). Two questions: are you using the poly renderer or the carmack renderer? And also, does turning off truecolor mode help? Oh and one last question - is this with the latest release or a build from master? Poly renderer was off. Turning it on seems to fix the HOM. This was with today's 64 bit build downloaded from the DRD Dev builds. Damn it. Probably means my moving around variables in the software renderer was enough to jinx it. I'll take a closer look.